I saw this trailer for "Take Me Home Tonight" last night and as I'm watching it I'm thinking that it's an '80s period comedy, but I honestly can't tell. It might just be about a bunch of douchy neo-yuppies. But if it is and '80s piece, that means something, you guys. 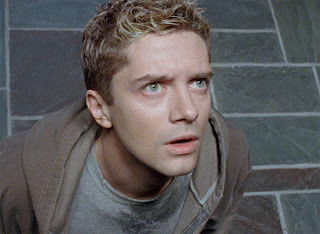 Topher Grace is moving one decade forward in time. Like every 15 years.